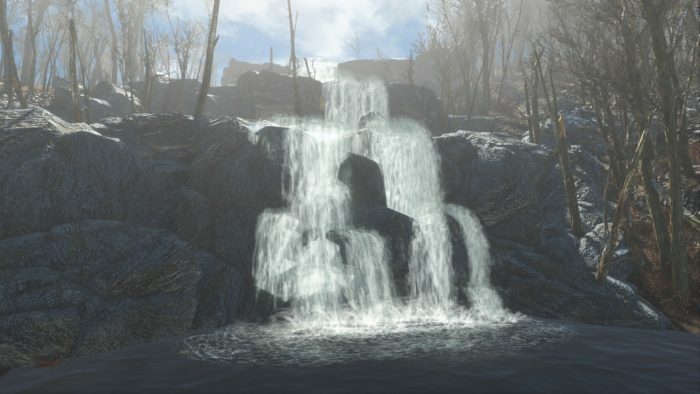 Fallout 4 is full of beautiful locations hiding in the far reaches of the Commonwealth, and this mod adds another area to that list. The Commonwealth National Park is a sprawling woodland area complete with trees, a running waterfall, and a beautiful lake. Visitors can hop by the fishing pier and the canoe rentals if they want to spend a relaxing afternoon by the lakeside. Commonwealth National Park is just north of Sunshine Tidings and is the perfect place to unwind after a long week of settlement building and monster slaying.